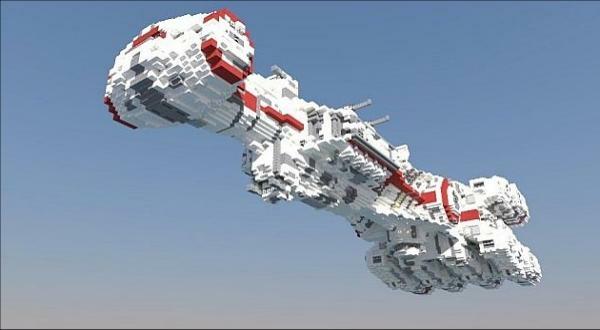 It's been so long since we've heard from this project that I forgot it was a "thing," but an overly dedicated Star Wars fan is looking to recreate A New Hope frame-for-frame using Minecraft. He claims he is nearing completion. YouTube user Paradise Decay has been working at this project for nearly three years, and the trailer is nothing short of stunning. The improvements over the previous trailer are staggering with his accurate recreations of all of your favorite ships, Luke's iconic trench run to the exhaust port of the Death Star, and even the awkward lightsaber duel between Darth Vader and Obi-wan Kenobi. And you didn't think that fight could be any stiffer, did you? Just imagine the elder Sir Alec Guinness and the gargantuan David Prowse as Minecraft characters. The trailer features only the breathing of Vader over its visuals, and Paradise Decay says you'll have to sync up the "the original 1977 version of the film" on DVD to get the audio along with the visuals. Sorry, but you'll have to shell out some money somewhere. Can't let those copyright laws get totally in the way, can you? Just a reminder though, nothing is going to the creators either. "NO money or profit is to be made from this project and monetization is disabled. It is being created by a fan, for the fans." Along with the final trailer, Paradise Decay has also used his footage to recreate the original theatrical trailers for A New Hope's initial theatrical run. Check those out below.